Care to have your coffee prepared by a robot? That's what's happening at Cafe X in San Francisco. The small shop on Market Street has a robot that can manage many orders at once and even waves at some customers (though not us) when it's completed the order. 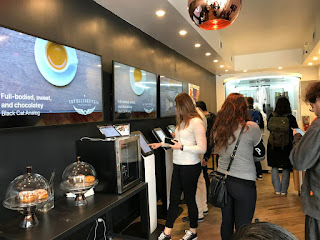 First customers choose what kind of drink they want on a tablet menu, ranging from Americano to cappuccino, espresso macchiato, flat white, hot chocolate and even matcha latte, with prices ranging from US$3-4. Then they pay by credit card and input their mobile phone number so that they can receive a four-digit code when the coffee is ready. 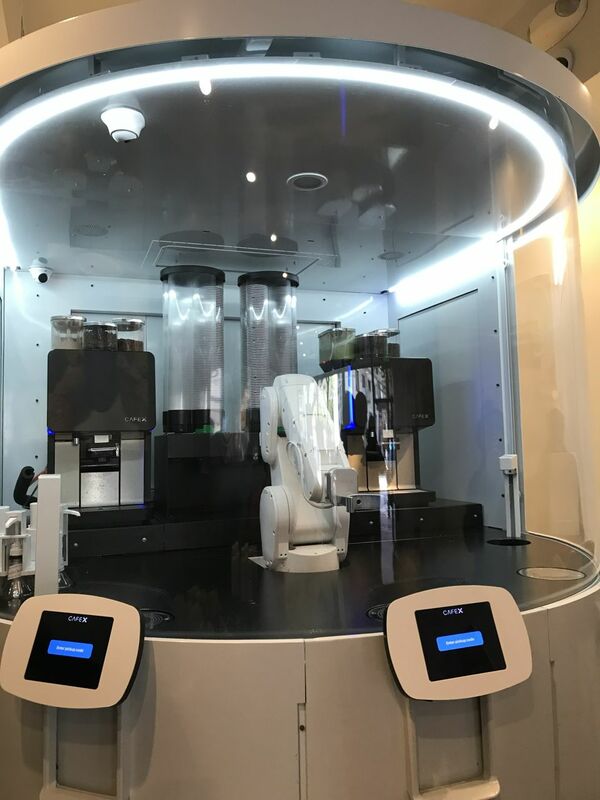 Next the customers move over to the main event -- a semi-circle of class where there are two coffee machines and a white robotic arm that picks up cups of java and gives them to the customers at three slots who punch in the four-digit code. While the coffee tastes decent, it's gimmicky enough for people to want to try it. 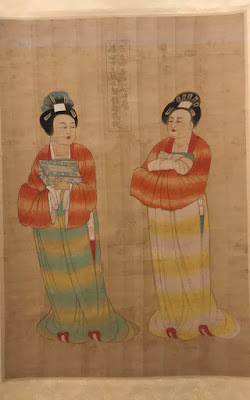 The whole experience is quiet and relatively hassle free if you are familiar with the process. There's even swanky tunes playing in the shop that has a few seats, though most just take the coffee out. 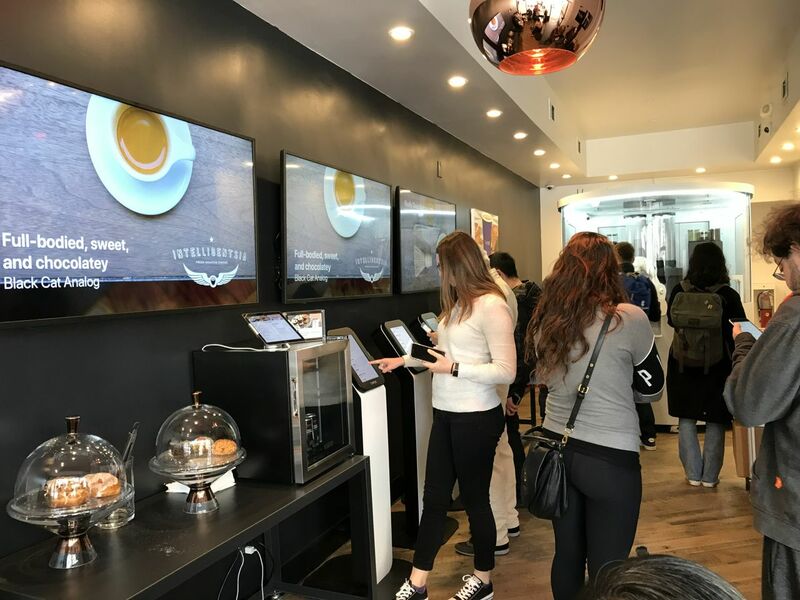 I was told there are three of these shops in San Francisco and they are now creating a service where you can order ahead online and then use the four-digit code to pick up your coffee when you arrive.